Patio Home for sale soon! 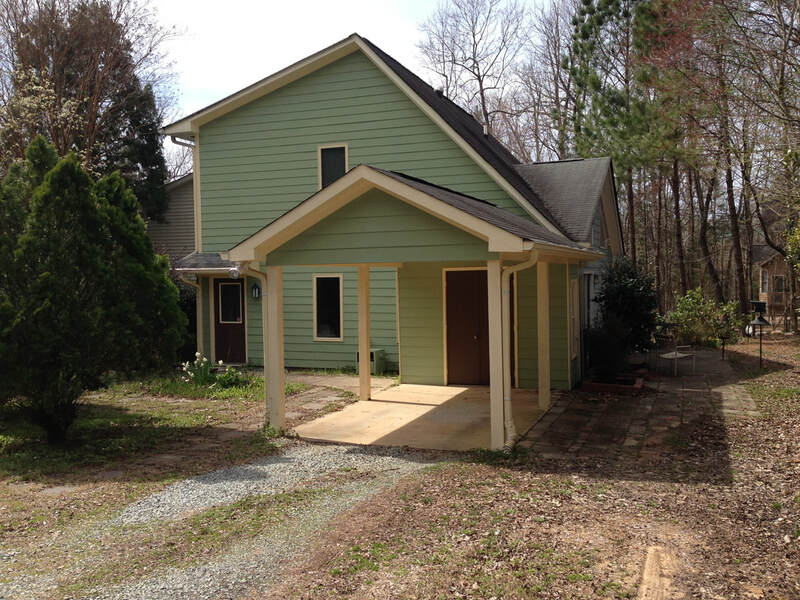 This one of a kind 1475 square foot home has 3 bedrooms and 2 bathrooms. Lots of windows fill this passive solar home with natural light. The unique design attaches to an identical home by a 3-foot fire wall on one corner, providing the full privacy of a single home. Aside from our cohousing amenities of a 1-acre organic garden, 1-acre dog park, a fully equipped community common house, 13 shared acres and a children’s playground, this patio home faces New Hope Creek Preserve in the front and a wooded lot in the back. Solterra has something for everybody: Book clubs, meditation groups, knitting groups, community meals and celebrations of all kinds! It is a multigenerational community where neighbors know each other’s names. We built this home to be family friendly and allergy free with cement floors on the first level and wood floors on the second level. Our asking price is $295,000.